I recently had the honour of visiting Hippocrates Health Institute in Florida. I was invited to do a short talk for the students there, and spent a blissful day meeting wonderful people and eating sprouts to my heart’s content! I even got to meet Viktoras Kulvinskas, who was the single biggest catalyst for my journey when I was given his book, Survival into the 21st Century, back in 1991. Brian and Anna Maria were gracious hosts, and were kind enough to spare time with me for this interview. I feel it’s very important that if we want to imbue our lives with meaning, we need to have some context for our own personal journeys, and understand where we come in a lineage. If we don’t know where we are coming from, how can we know where we are going? If you have an interest in raw vegan food, then you need to know about Ann Wigmore and Viktoras Kulvinskas, and how they were the forerunners of this whole movement. I was so eager to hear about Ann from Brian and Anna Maria, who knew her intimately, and of course learn more of their own stories, and how they continue to evolve her work with astounding success. 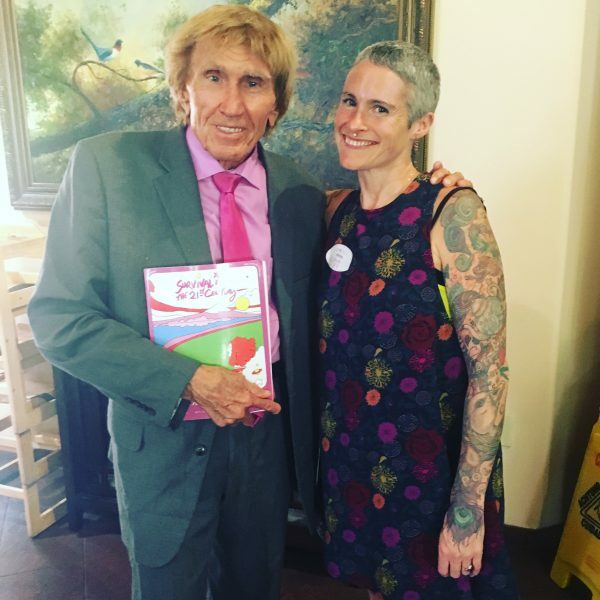 So I don’t know where to start, you are both such a massive inspiration and influence in the raw food movement. Do you want to tell us how long you have been doing raw food and what brought you into it in the beginning? A – Oh my goodness, well, I started at 15 and I’m 61, so there you go, a long time! It’s the best thing that ever happened, it brought me into this field. I’m born in Sweden, so I started to search out people there, and I realised they were all getting very old, so I thought, I need to hurry up and train with them! And I met one lady in her late seventies, and she had a basic clinic outside Stockholm that helped so many people. We had a lot of physicians training with us, so I took nursing and got into it, it was amazing. Brian came over in 1978 for the first time, to lecture. They were actually the opening act of a vegan restaurant in Stockholm, and I thought, boy, this guy knows what he’s talking about. And he actually told me, after the day was over and I was helping out clearing up all the dishes and treats they had been making, you know one day you’ll marry someone like me! 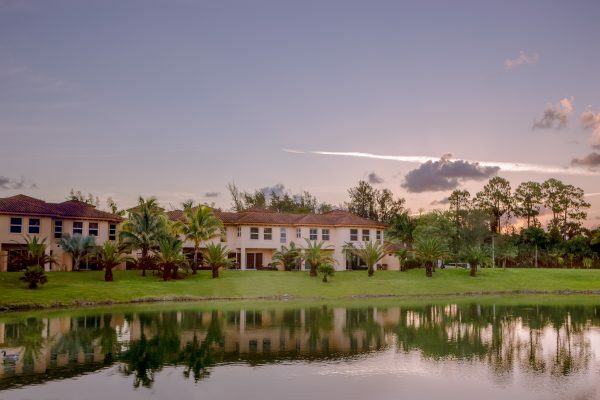 The institute started off in Boston sixty years ago, and we moved it thirty years ago to this beautiful place in West Palm Beach where the weather is such a joy. We have four kids, seven grandkids, and it’s amazing every day here; I’m still on Cloud Nine! I still can’t believe not everybody is doing this, not everybody is hearing this; you can heal yourself. B – What happened with me, I was living on the west coast of the US in this beautiful country area in Oregon, and my closest neighbour was two miles away. I was actually taking a sabbatical, for lack of a better word, because I burnt myself out at uni working all night and school all day to pay for it. I spent 1-2 years there on the west coast. And I’d go on hikes for five days into the wilderness, take my little hand juicer with me, and go on fasts and it was really a great time, to learn about who I was and calm everything down. I just gravitated to eat raw foods. I was vegan of course. This was probably about 44 years ago and I recognised that I hadn’t had anything cooked in two months, and was feeling pretty remarkable. I then remember reading Be Your Own Doctor by Ann Wigmore. Back in 1952, she was told by a top physician that she had ninety days to live. Her story was, she had advanced Stage Four Cancer, and she ate this way and healed herself, and opened the doors to Hippocrates in 1956. I came off a 42 day fast and I said to my then girlfriend, let’s go and visit Hippocrates. I met Ann, and she was wonderful and crazy and a visionary, and she said why don’t you work with us? I said yes and 1975, I joined the team and by 1977 they sent me to Europe where I spent 3 ½ years bringing the raw food message back. Because this is not an American message, there was a living foods movement nearly a century ago in Denmark. Dr Kristine Nolfi used raw foods to reverse breast cancer. I got an education about the European health system, and got to meet some of the great folks that were flourishing in the mid 20th century. I came back to America and was asked in 1980 to be the director of Hippocrates there. Anna Maria came and we were wed, and without Anna here the institute wouldn’t be what it is, she brought a deep understanding of history from Europe, and together we have made it what It is today. We are privileged to be working in this field. People say we work a lot, I don’t think I work at all, and this is a lot of fun! I’m really curious about Ann as a person, did you realise what she was doing? Did she know she was founding a movement? Did she understand the impact of what she was creating? B – She really did not. 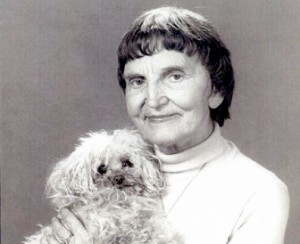 Ann Wigmore was an interesting woman. Ann was a peasant girl from Lithuania and her family literally abandoned her because she was very sick. So when they came to the US, they left her behind and expected her to die. Turns out the village doctor befriended her and became a surrogate grandmother. And doctors of those times were naturopathic doctors, no such thing as pharmaceutical medicines and all the other nonsense, it was self-care, she taught her the natural ways of mending back to health. She joined her family in Boston and her life didn’t change; she broke her legs in such a way that they were going to cut her legs off! She healed it with grasses and what she had been taught, and didn’t really get it then, but still got into this Western lifestyle American diet and got really sick. In 1952, when she was in her 50s, she woke up and realised she may die if she didn’t do something. We memorialised her in her home country of Lithuania five years ago, we had a ceremony in her village. Every villager was there, and we built a monument, and now people go there as a pilgrimage. They are so proud of Ann there. On that trip we went to a medical school and they were buttering us up saying Ann Wigmore is great and what you do is wonderful. I said well if that’s true why aren’t you teaching old time medicine here? I expected them to be offended, but a week later we got a call saying let’s do something! We collaborated, and September 2016 we created, with lots of input and lots of work from Colin Campbell, we created Europe’s first graduate programme in lifestyle medicine. It’s a plant-based programme, taught in English. This is all because of Ann Wigmore. This will be continued on, her legacy. She was so driven and committed to her work. She believed that if she could overcome something that top doctors told her was going to kill her, she had to do something to help others. When you took over in 1980 what kind of vision did you have for it back then? Did you see it growing to become the tremendous force that it is now? B- We had a vision that this was not just a business, we understand that this was a movement. And it’s an incredibly significant movement to bring man back to normality. We don’t just consider this a place where people come to reverse or prevent disease, we consider this the way people should live globally for not only health reasons but environmental and spiritual reasons and the list goes on. When one does the right thing it has a domino effect that’s good for all. The other thing we have to understand that every creature, every species on earth in nature, lives 100% raw. We are the only species that eat cooked food and tell you in academia that the brain evolved when we started to eat cooked food – this is absurd. It doesn’t relate to biology, in fact the reverse is true. We have done clinical research on human beings for sixty years and observed what a healthy lifestyle does for them. We do blood tests here, for the rest of your life once you graduate, for free we counsel you, collect blood results, do lab scans and we know how and why this works. It’s shocking to us how this is so hard to disseminate. What it is, is mass media, governments and corporate interest and media manipulate and control your brains. People believe that eating meat and dairy are essential, and it’s perfectly fine that they don’t take care of looking after themselves and the environment. Two studies that I’ll address on: California, 35 years ago, Asian men from Japan, no cardiovascular disease, plant-based diets and just thin. No obesity. Within one year they were having same cardiovascular problems that Americans have. Second study was in Miami, the world health paediatric hospital: Asian children raised on a plant-based diet, within one school year, these kids had the same diabetic problems, the beginning of cardiovascular disease after eating US school food for 9 or 10 months. This doesn’t even take a year! I show people photos of what happens in a plant-based eater if they scientifically agree to eat meat for one day – you see the light photons that have been drained out of them after 24 hours. It’s scary. When we talk about this we are considered odd; what’s odd is what’s going on out there! It’s calculated global insanity, all about profits not people. I know you have a lot of programmes going on at the Hippocrates institute. Can you just summarise what it is you do there if people are interested in coming to visit? I had the most amazing day when I visited, it’s like paradise. It was really such a blissful experience. Can you tell us a bit about what goes on there and who comes to see you? B – For those who want to become educators, we offer 40 hours of classes per week, we also have lovely spas and medical teams and use cutting edge tech and everyone gets a therapy, and it’s a beautiful campus. But the real magic is when healthy people like yourself come, and watch what happens when those who came in wheelchairs, told by their doctors that they were going to die, are running around two weeks later. This is not an enigma! It doesn’t happen occasionally: it is what we anticipate and expect here. It’s all about empowering and educating people and giving them the tools to take back their lives and heal themselves. We don’t believe that we heal people, we never healed a person here since 1956 – we can’t heal people. We educate and support and love, but you need to stand on your own two feet, that’s the life transformation programme. We now do this as a weight loss programme with a medical team. We put them on a diet and put them in saunas and put them in psychotherapy – it starts with the head in this one. If your head says you got to eat because you’re not happy, whatever I do here is not going to work when I go home. I know there is not another weight loss programme on the earth that works like that. The programme that we are very proud of started in 1980, it’s the health educator programme. People come here for nine weeks and we give them life-changing courses. This week, I had the pleasure to spend seven hours with them, and we do real intense work, and not only what they can do to heal themselves, but what they can contribute and educate. You can’t be broken people telling broken people what to do, you got to become whole. The new businesses are positive health and earth business, which support selves and families. Biggest money-makers are the war industry, meat, pharmaceutical and drug industry – all evil about death and dying. We need to build a new world economy based on health, healing and prosperity, that’s what we are about. Someone told me that you invite doctors, medical doctors in to stay with you? B – A couple of times we have, for free, invited doctors. We have had them from eight countries, and we teach them what we have learnt and developed in the last eight decades, and it’s been a great success. Then lots of these doctors come with tears in their eyes, and say that they have been practicing for many years and didn’t know these things. We get people in that have healed liver cancer, multiple sclerosis, you know, things they have never seen healed naturally. The tools they are using are not working in some of these cases, they weren’t taught these things. It’s not that they are bad people, they are good people. I’m not here to say this is what you do, I’m here to say look here’s what we’ve learnt over six decades, we want to share that. Our work is not about collecting more money and becoming powerful. It is to disseminate the truth to people. A – And even corporate leaders realise that they want to send their teams here, so we just started a corporate programme. I think it’s amazing that people are realising, if I could be an example for everybody I work with, help them to show others how to work with these things, and show their co-workers how they can eat and live better. B – These are some of the most powerful people in the business world who come here every 6-8 months to check in and clear their heads; they tell us that this is where they make some of their biggest decisions, as their minds become clear. Anna Marie, one of the most common questions I get is about raising children on a raw vegan diet, would you be able to speak on that, how you fed your children. A- Firstly, as a mother, you nurse. I just read what happens in the first two years in a mother’s brain. You give birth and there are shifts in the brain matter and you become this, and you are actually protecting this child from danger. This lasts for two years. You become a tiger mum; this is the time you need to nurse. Over time, get more interest, get a bit of fresh fruit and bit of avocado, sip of a green drink and it escalates. If you can be 100% raw the first three years, if as parents we make sure that’s what we have, then that’s what they want. It’s such a good base. 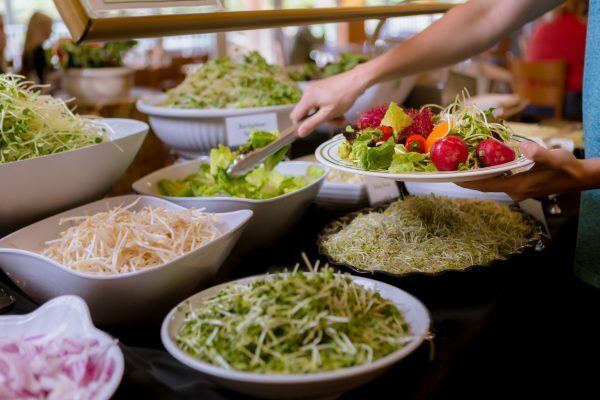 B – We have children from 40-20 years old, and they prefer green drinks, salads, just like you and I trained to eat sugar and fats and bad foods. In the back of their minds, from developmental years, that’s deep down what you desire, what mum and dad fed you. B – A former head of the FDA, who finally wised up and left! He said all multi-national food companies have chemists on payroll that put drugs in our foods. Beyond sugar, fat, salt, to get us addicted. You are being doped up. There was a medical study done – MRI of brain of drug addicts on heroin, cocaine and sugar – sugar most addicted. Let’s talk food. If you could both tell me which are your favourite foods, if someone was going to make a beautiful meal what are your top foods that you love to eat. A – A big sprout salad, there’s nothing like it with seaweed, onions, olives and peppers avocado – heaven. B – It sounds odd to people, it sounds like we are making it up! My mouth waters when I see that. Every drop of life comes from the sun, and it’s a photon that comes off the sun, and becomes this high-speed light, that takes eight and a half minutes to come from the sun, and be captured on a green leafy plant on this earth. So all life from sun is captured on a green leafy plant. You’re eating light and it’s green leafy plants that are raw that are the best and give you this light: it’s sprouts, edible weeds, algae’s from the sea from freshwater – most energy and photons from the sun. Which is your favourite sprout? B – Mung and sunflower. Mung is best grown in the dark. It contains so many minerals, particularly zinc. A – We use dulse, but there are so many. I love kelp for nourishment, calcium, iodine, protein. B – Seaweeds are very powerful. Iodine from seaweed actually protected so not bringing in the bad iodine. Remember these foods not only contain the most energy and light, but also the most protein, minerals etc. Food that has the highest energy also has highest nutrient content. Highest essential fats. You don’t need to take fish oil. A – I don’t think most people know how fish oil is made. You can’t squeeze oil out of a fish. B – After twenty minutes it becomes carcinogenic. All these people taking it and doctors telling people to take it are actually contributing to heart disease and cancer. What about fermented foods? Are you big on fermented foods? B – What is good is the sulphur, so kimchi, sauerkraut, the sulphur content keeps bad bacteria away – you can take vegetables, root vegetables that are in fact not too high in sugar, such as radish, and make organic cabbage juice, and let the veg sit in for about a week; it’s delicious. I would eat this as a separate meal, some people eat it with other foods. Thank you both. I know you have a really busy schedule travelling around. Can you speak on a couple of things? Firstly how you keep the balance between work and play and getting rest and keeping balance, but also how do you deal with the travelling, as this is very stressful on the body. Do you have some top tips on keeping healthy while you fly? A – Our lives don’t really change when we go to other countries, we kind of have a programme every day. Gym three times a week, and we sauna every day, that is a life-saver to reduce radiation and chemicals from flying. We wear our bio-shields; we keep our nostrils wet with silver sprays so we don’t catch infections on the plane; take cell food minerals to increase oxygen; we don’t eat when we fly we just drink water. For a flight more than three hours, we fast because you feel much better. We take melatonin on big trips as that helps you to recover from the time change. Your thyroid takes care of the time change, so we can take some iodine too, drink some iodine drops, eat seaweeds and that helps the thyroid recover. B- Anna Maria and I, this is how we live, we never change how we live, so you know that’s it. In short I’m sure we’re aging ourselves and have a shorter life expectancy, because on planes we take in radiation, we take showers in hotels, and in a 15 minute shower, your skin absorbs about 1 lite water. It’s a dance between joy and practical things like diet and lifestyle, and I think that joy gives more health than everything else. We don’t compromise: this is how we think, live, and we have each other too. We have love and you’re with your best friend, someone you trust and that gives another dimension to your health. We don’t consider what we do work; when you come here you become our friends, so our social life is here. It’s not draining. A – When you have a family, it takes a lot of your time, and so much joy. Our kids help keep us balanced. If you don’t have that, you don’t really have a reason to play either, because the kids are pulling you home to play or they demand this innocentness. They have forced us to have a good balance. I heard you’re a drummer Brian is that right? B – Yes, we call it the wheatgrass band. A – I play fiddle too. B – That’s a lot of fun, when I was a kid I spent my way through school doing that too and it was great during the 60s, can you imagine being in a rock n roll band in the 60s, it was a lot of fun! A – Music has been a big part of our lives, going to concerts, listening also playing. Just now you mentioned something that you wear when you fly? Can you tell us what you do for electromagnetic protection? B – It’s called a Bio Shield, It’s like having a lightning rod on your body, so that the electromagnetic frequencies that actually disturb your body and the electromagnetic flow of the meridian system, they are attracted to so it neutralises them rather than affect your overall body. These invisible things are often more harmful to your health than the physical things that we see. Amazing, well thank you so much for your time, it’s been a total joy to speak with you. You can find out more about Hippocrates by visiting their website. This is where you will find information on the different programmes they offer, as well as check Brian and Anna Maria’s busy international tour schedule, to see when they will next be in a city near you. Thanks to Ellie Lewis Jones for her help with the transcription. Wow! Thank you so much for publishing this interview. Total inspiration. Its also sad to note that so many still buy into the death business of meat and pharmaceuticals and just don’t understand that it doesn’t have to be this way. And the point that was made about the falsity of humans having evolved so much more when they ate cooked food – I had a conversation about this recently with someone who just couldn’t and wouldn’t see that this is not true. Thanks once again – have shared this article with family. Spreading the word is the way and living as a wholebeing and not a broken one – yeah really get it. Blisses. Am so delighted you went to Hippocrates Kate, you of all people would be so suited to appreciate the unique environment, atmosphere and people there. Brian and Anna look so radiant in these pics, you would never believe their age. Fantastic pic of you and Victoras! Bravo!